CHRISTMAS: Closed from December 21 to January 7th. Happy Holidays! All concerns & complaints must come in via writing, please carbon copy the North Zone office for any issues that you feel are pertinent. All submissions must be submitted after the mandatory 24 hour cooling off period and follow the chain of communication below. 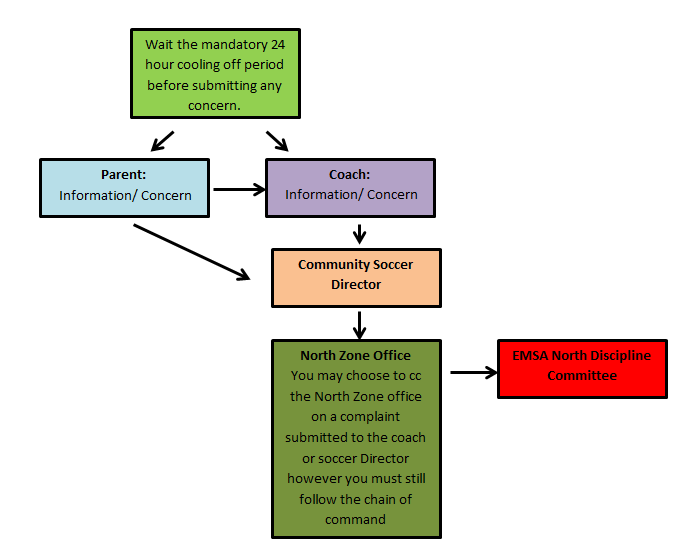 Please note if the chain of communication is not followed the concern will not be reviewed.